I ❤ this soup! It was out of this world! 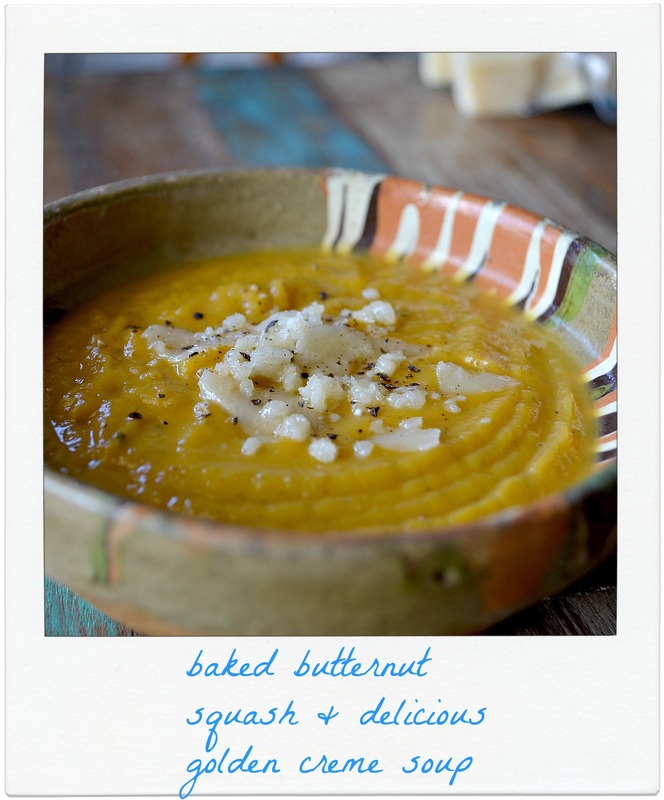 Peel the squash and cut into smaller pieces. Cover the pieces with olive oil and sage. 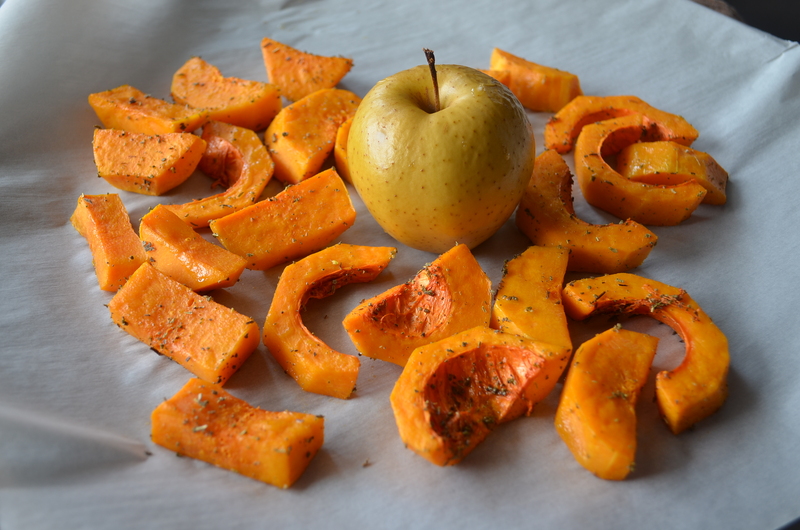 Put the squash pieces and the apple (pirick the apple with a toothpick on all sides) on a parchment paper and roast it at 350F for about 20 minutes. 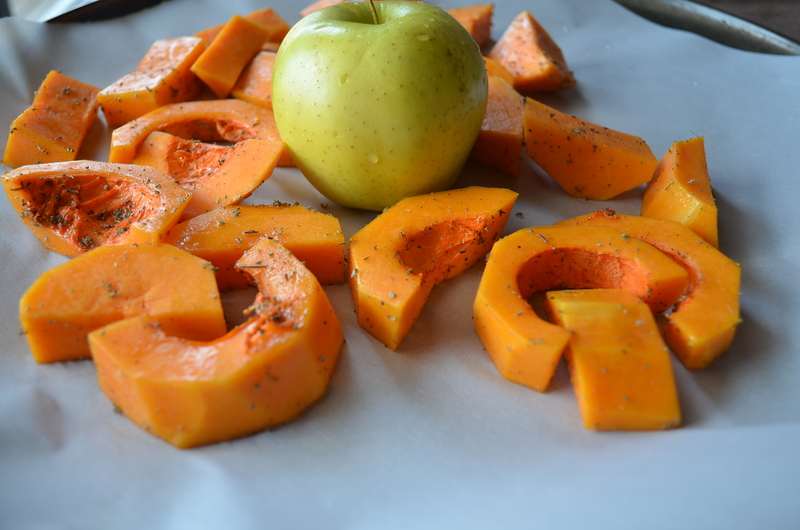 Remove the squash and the apple from the oven. Cut the apple in smaller pieces and throw away the core. While a large pan is heating cut the onion in small cubes. Add 1/5 cup warm water. 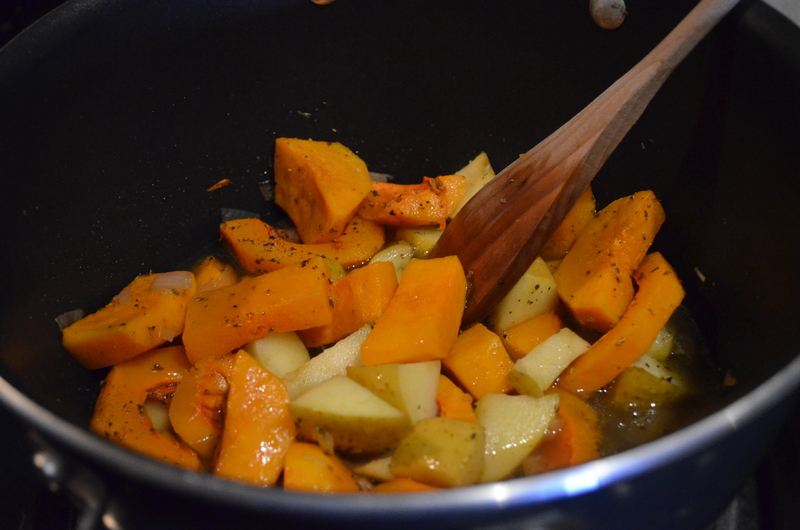 Add the squash & apple pieces and the split peas. Season with salt & pepper, chili flakes (optional) and some more sage. 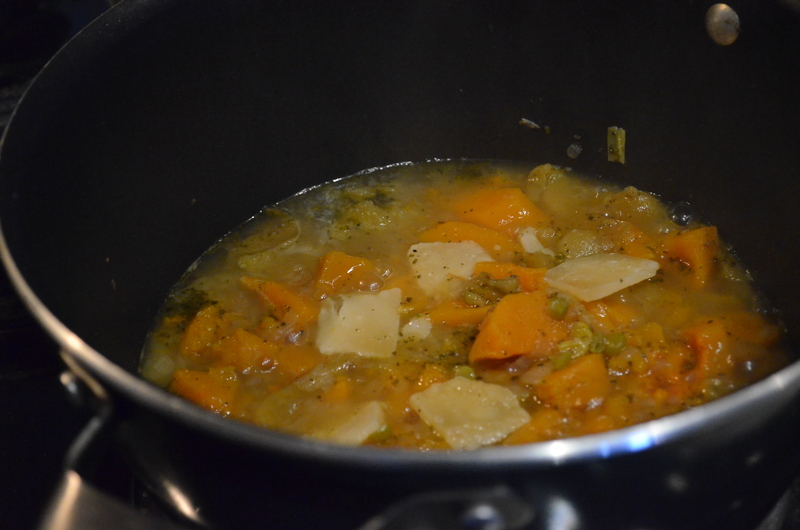 Cook on low heat (3- 4 on electric stove) for about 35- 40 minutes. Add the sour cream and parmesan to taste and puree the soup until smooth. It looks so healthy and delicious! 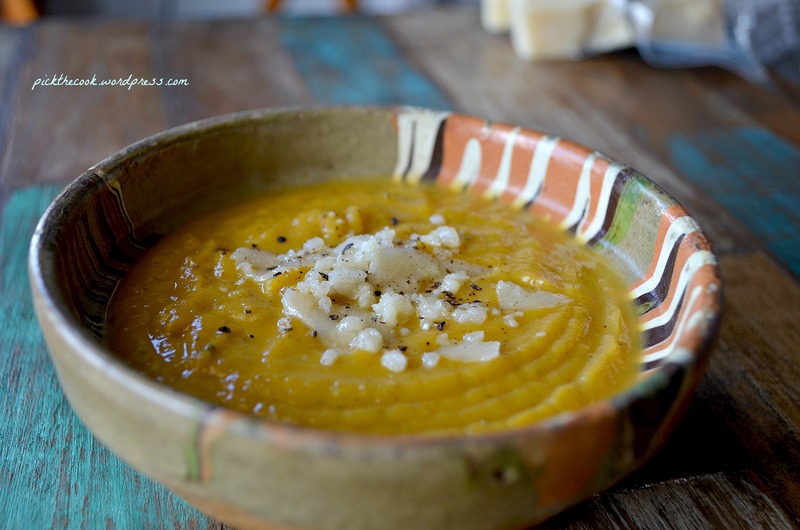 I wouldn’t mind having a bowl of this “rich in beta-carotene” soup.